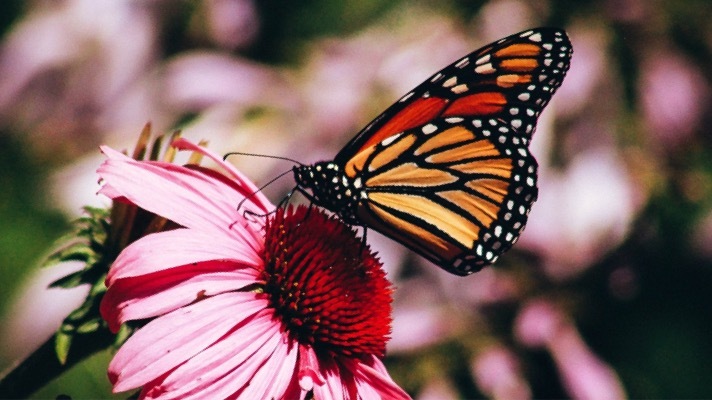 At Environment Action, we think monarch butterflies rule. They’re an important pollinator, but that’s not all. Will you help save these beloved butterflies? These tiny, beloved butterflies are a cheerful reminder of the beauty of our natural world. And — unfortunately — our monarchs are becoming more scarce. Today, you can help us protect the habitat they need to survive their long — and increasingly perilous — migrations. A monarch butterfly weighs less than a gram — about as much as a paper clip — but every year, they make a 3000 mile journey. Monarch butterflies are an iconic species, and their trek through the heartland of the United States to their winter homes in California and Mexico is already incredible even without the obstacles they face. From local action like planting milkweed in our communities, to working to ban Roundup, to combating climate change and deforestation — there’s a lot to do. We’re working to make sure monarch butterflies can make their journey, from asking the Environmental Protection Agency to ban Roundup, to taking action in our local communities and asking big corporations like Home Depot and Amazon to do their part. We can’t do any of this work without the support of members like you. Please support our work today. 1. Anurag Agrawal and Hidetoshi Inamine, “Mechanisms Behind The Monarch’s Decline,” Science, vol. 360, issue 6395, June 22, 2018. 2. Joanna Gilkeson, “Monarch Numbers Increase, But Work To Restore Butterflies Is Not Over,” U.S. Fish and Wildlife Service, last updated July 10, 2018. 3. Kate Furby, “Monarch Butterflies’ Migration Is Part Relay Race, Part Obstacle Course — And Full Of Danger,” The Washington Post, June 21, 2018. 4. Richard Conniff, “Tracking The Cause Of Sharp Decline Of The Monarch Butterfly,” Yale Environment 360, April 1, 2013.